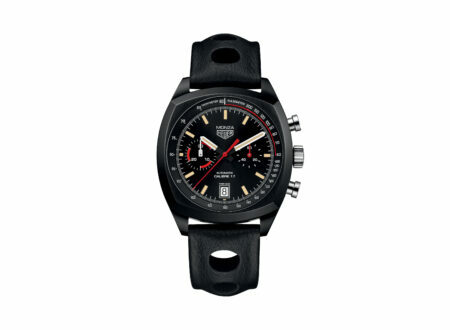 The Military Watch Company or “MWC” for short makes timepieces for a number of militaries around the world as well as police forces, anti-terrorist units, specialist marine security units, shipping and salvage organisations, and a diverse array of government agencies and departments. Fortunately they also sell watches to regular folks like you and I. The MWC British Army General Service Watch was developed to closely match the styling of the standard military watches issued by the British Army from the late 1940s into the 1960s, though inside it contains a modern 24 jewel automatic mechanical movement and it’s water resistant to 3 ATM or 30 meters. 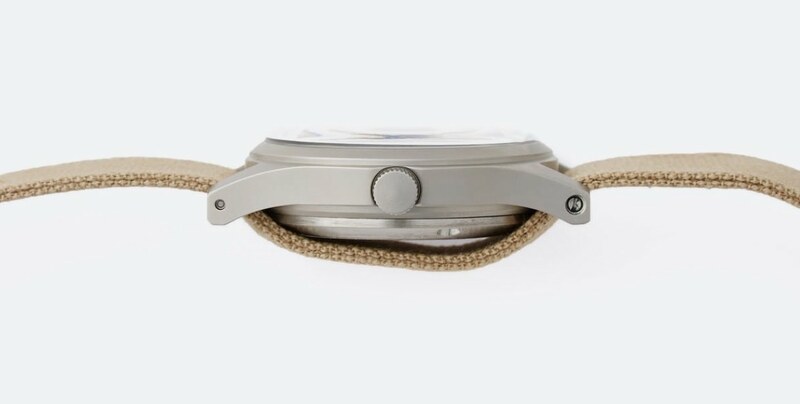 The watch has a case diameter of 40mm including the crown, it’s 42mm lug to lug with a thickness of 12mm. 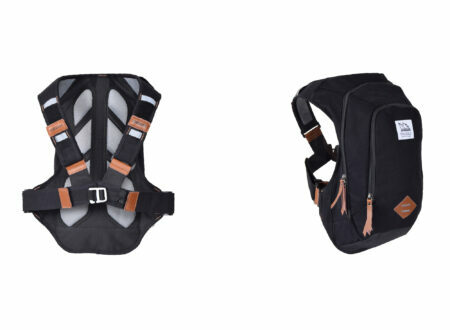 The case is made from hard-wearing 316L stainless steel, as is the case back and crown, and it has an impact resistant Plexiglass crystal. 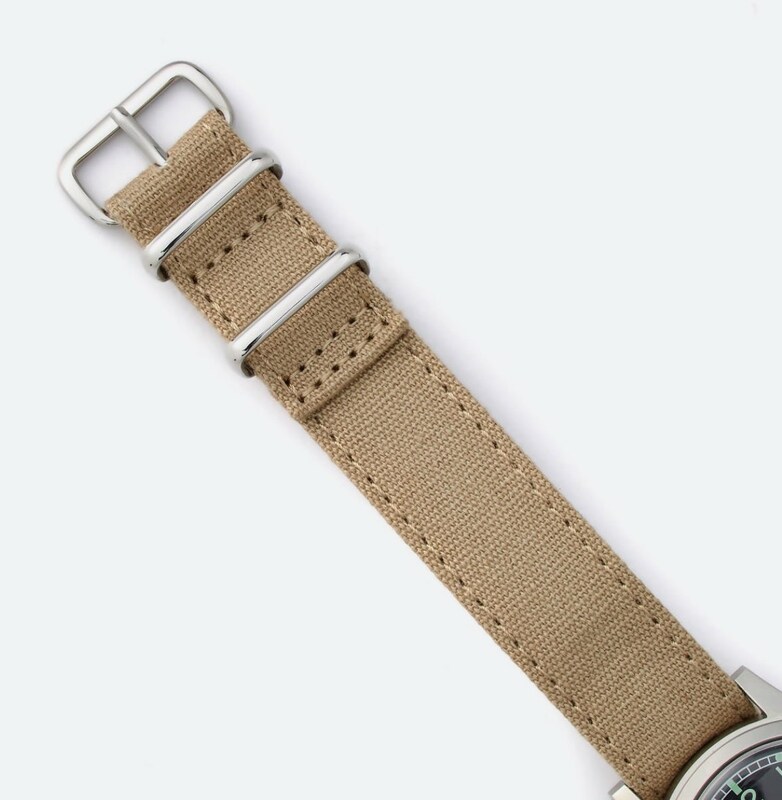 The strap is a traditional canvas NATO strap, meaning the watch stays on your wrist even if one of the lugs comes loose. Rather than the glowing radioactive markings that were traditionally used, this watch uses modern Luminous Super Luminova paint. 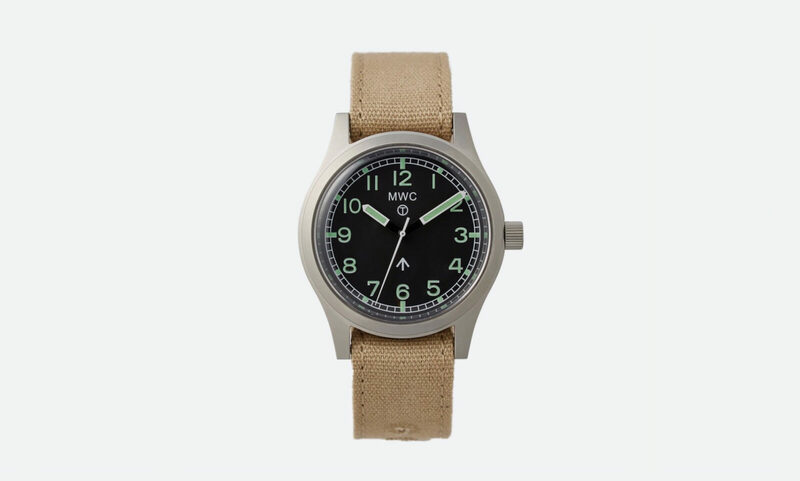 With a price point of $233 USD the MWC British Army General Service Watch is an excellent daily-wearable timepiece with significant heritage and none of the stress that comes from wearing a more expensive watch on a daily basis.